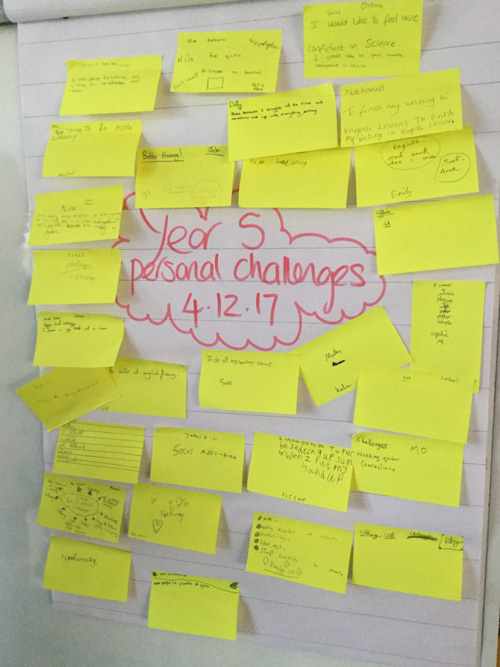 Today Year 5 have looked back at our Personal Challenges from last week. Almost all of us achieved the challenges we gave ourselves- ‘Being more confident’, ‘Talking less in class’ and ‘Focussing more’. Some of us are still working on our Personal Challenge as they are on-going but they have made good progress on them… like ‘Working harder on spellings’. One thing is for sure, the class were very positive about the challenges and encouraged each other with lots of praise for the achievements made so far. Well done Year 5 and keep it up. Year 5 have started to discuss how important it is to have a positive attitude towards their learning, and to always persevere even when things seems unachievable. The children watched an inspiring video and came up with challenges they feel they could accept for themselves during this week. We will see how the children have got on later in the week.